Technology can be simply amazing. Recent advances in thermal camera technology has not only made them more affordable, but also much more sensitive and user friendly. Today, we use these Thermal Cameras to “see” right into the walls, floors and ceilings. 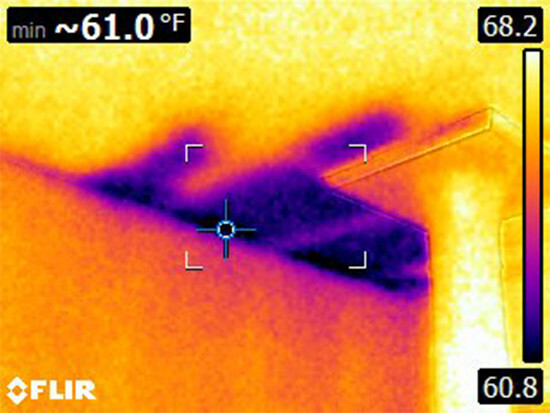 They show us where there are gaps in the thermal boundary and where areas of thermal bridging are occurring. We are also able to see how air leakage is moving into and out of a home. Air leakage accounts for a significant loss in energy in residences. It also brings in outdoor contaminants such as pollen, dust, and VOC’s. 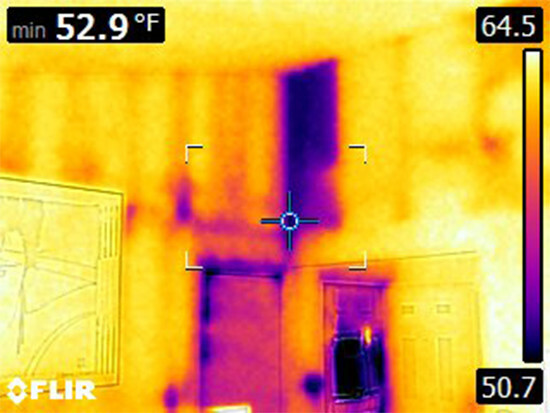 Using the thermal camera, we can gauge how well the windows and doors are performing. We have seen some very expensive windows allowing a lot of air leakage around them due to poor installation techniques. As a home’s foundations moves and most of them do, the exterior doors tend to develop gaps in the weather-stripping. These gaps show up quite pronounced on the screen. Even addressing small gaps around doors and windows makes a really significant difference in comfort and energy savings. 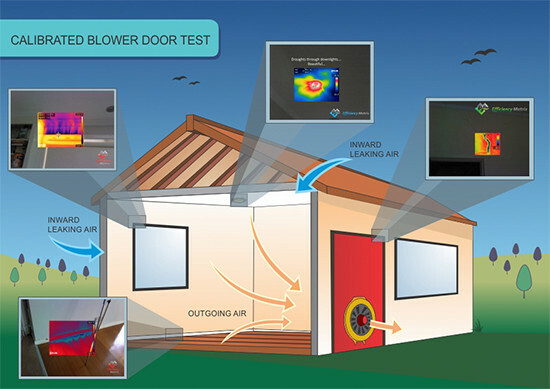 Blower Door Testing is a simple, quick but very accurate way to test each homes air “leaks”. 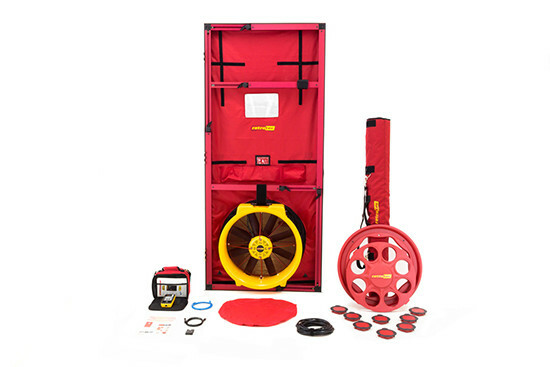 By creating a small vacuum in the home, we measure how much cubic feet of air is moving through the residence. The more “tight” we can make a home, the more efficient and comfortable it will be. When homeowners complain about a house being “drafty”, this is exactly what we measure. 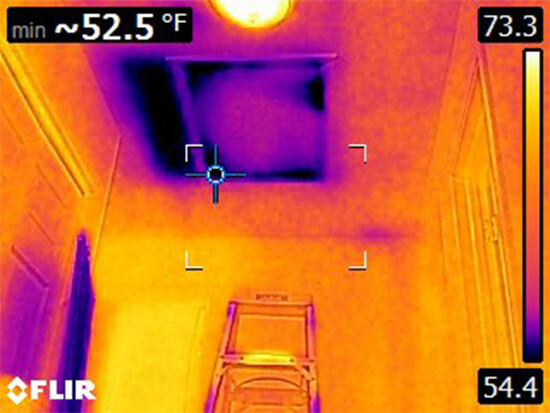 By combining a blower door test with the thermal imaging cameras, we are able to be very detailed and specific in diagnosing problems.